Borussia Dortmund have wasted no time in bringing in new recruits this summer, with SC Freiburg's Max Philipp being announced as their fourth signing of the summer. The German youth player has joined Ömer Toprak, Mahmoud Dahoud and Dan-Axel Zagadou at the Westfallenstadion as Borussia Dortmund expect a busy summer under new manager Peter Bosz. The exciting striker will prove a real asset to Borussia Dortmund over the course of the next five years. 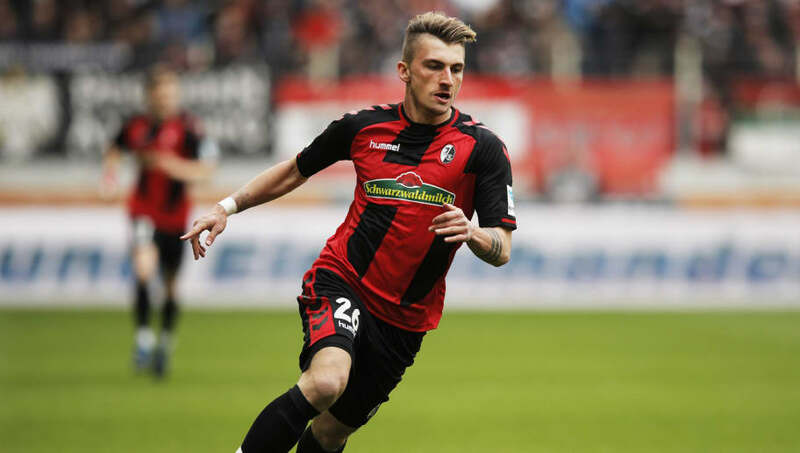 A quick and powerful player, Philipp has shown he has the star quality to play for a club the size of Dortmund on numerous occasions for Freiburg this season. Philipp played a key part in Freiburg's impressive Bundesliga campaign this season, scoring nine goals and assisting three in the league. Maximilian Philipp has signed a five-year contract at the club as Dortmund prepare for another summer losing star players from their squad. With former Ajax boss Peter Bosz taking over at the helm of Borussia Dortmund, it is clear that the German side are looking to emulate Bosz' impressive work with young players that he showed in Amsterdam. Philipp had been linked with a move to the Premier League this summer, however, the German forward has chosen a summer switch to die Schwarzgelben over a big money contract in England. Added to the signing of Toprak and Dahoud, Dortmund are showing a clear indication that they are planning to launch a genuine title threat to Bayern Munich next season. Toprak is a highly talented defender that will bring top-level experience to the Dortmund back line. Dahoud, on the other hand, has been a revelation at Borussia Mönchengladbach. The Syrian-born midfielder has featured 42 times for Mönchengladbach this season and is one of the most promising players in German football.